Frequently a dilemma is best illustrated by an analogy. Here is a political dilemma reflected in an analogy from cricket. A team wins the toss and is batting well. In the dug-out, padded up is its best pinch hitter. Suddenly, the well set batsman is run out and a storm breaks out. Now the pitch is, to borrow from commentators, doing things and has turned unpredictable. Does the team send in its pinch hitter or a grafter to consolidate? Now transpose this to the Narendra Modi government. Arguably, it has batted well thus far. Along comes an unprecedented storm, the “demonetisation”. Does the government follow the shock of “demonetisation” with another shock and push for the GST in 2017? Or does the government read the wicket, use data emanating from the note ban and digitisation to keep the reforms scoreboard ticking and deliver a smarter GST in 2018? 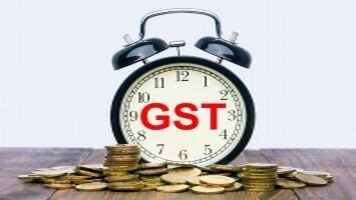 Finance Minister Arun Jaitley has observed that there is a “constitutional compulsion” to have the GST in place by September 2017 and asserted the government’s intention to stick to the deadline. There is also talk about a special session to pass the Central GST Bill, the State GST Bill and the Integrated GST Bills. Yes, there are issues pending in the council of empowered ministers—for instance, who will tax whom and what will be taxed at what rate? The incomplete template, though, is not the critical hurdle now. There is a new political wall of resistance post November 8. States like West Bengal and Kerala have virtually ruled out the rollout of GST in April 2017 and have blamed the “devastating” disruption of demonetisation for it. The issue is not whether the government can quell the resistance and get done all that needs to get done. The question is whether the political economy can sustain two disruptions in sequence within months? The issue is whether the system—already flailing to cope with demonetisation—has the bandwidth to manage the post-GST challenges. Post November 8, the political economy has been rendered unto a landscape of known unknowns and unknown unknowns. The known unknowns are questions about causal factors—from when the Reserve Bank of India will remonetise banks to when ATMs will live up to the definition of Any Time Money to when withdrawal limits will be lifted. The unknown unknowns are the consequences of the shock—there is no way of knowing with any certainty the impact on growth and revenues. Waiver of 5% GST sought on handloom.